Like stories? How about three full stories of new and used books housed in a historic brick building located in the heart of the city! Welcome to Auntie's Bookstore where browsing and reading is the art of the day. This is Spokane's largest independently owned book store. Besides the volumes of books there is an impressive collection of magazine titles, book accessories and a helpful staff that likes to talk about books as much as read them. 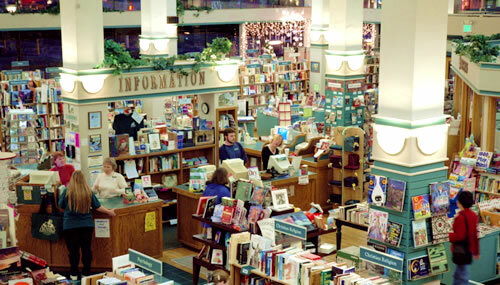 Many nights feature a book reading and this is the meeting place for bookworms and lovers of all ages.